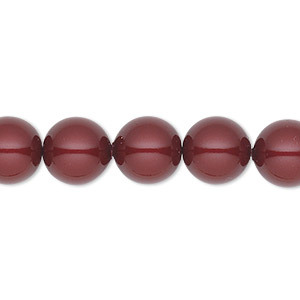 Pearl, Swarovski® crystals, Bordeaux, 3mm round (5810). Sold per pkg of 100. Item Number: H20-1717GP Have a question about this item? 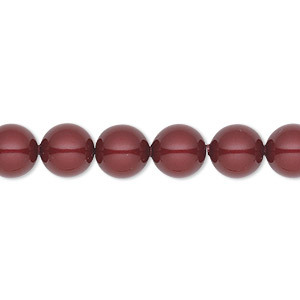 Drink in the luscious wine color of the Swarovski Bordeaux crystal pearl. 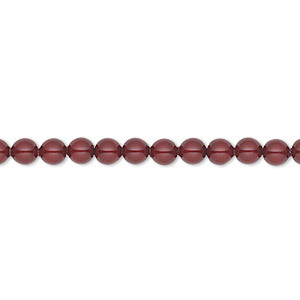 The perfect imitation of a natural pearl, the crystal Bordeaux-colored "pearl" is named after the romantic city of southwest France on the Garonne River. 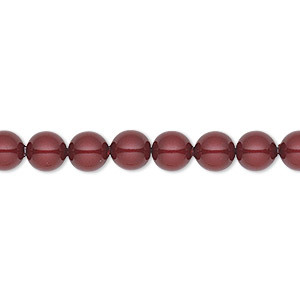 The full-bodied luster of crystal Bordeaux passionately combines with metallic-colored Swarovski pearls such as gold, antique brass and bronze and beautifully blends with mixed metals for stunning statement jewelry. 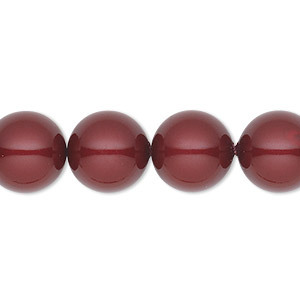 Swarovski pearls combine a crystal core with an innovative pearl-like "nacre" coating for a look reminiscent of a fine South Seas pearl. 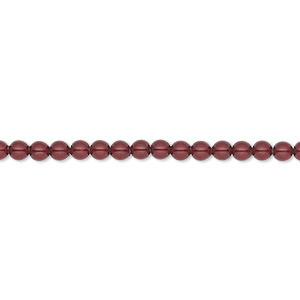 Their smooth surface and perfect curves warm to the skin similar to real pearls. Swarovski pearls are resistant to perspiration, UV rays and perfumes. 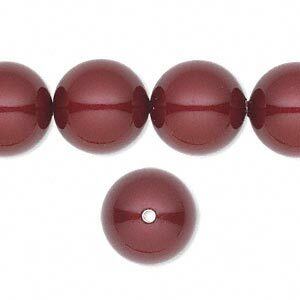 Pearl, Swarovski® crystals, Bordeaux, 3mm round (5810). Sold per pkg of 1,000. 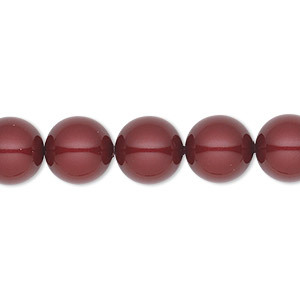 Pearl, Swarovski® crystals, Bordeaux, 14mm round with 1.3-1.5mm hole (5811). Sold per pkg of 10.